Anyone from Hawaii try these yet? Are they any good? 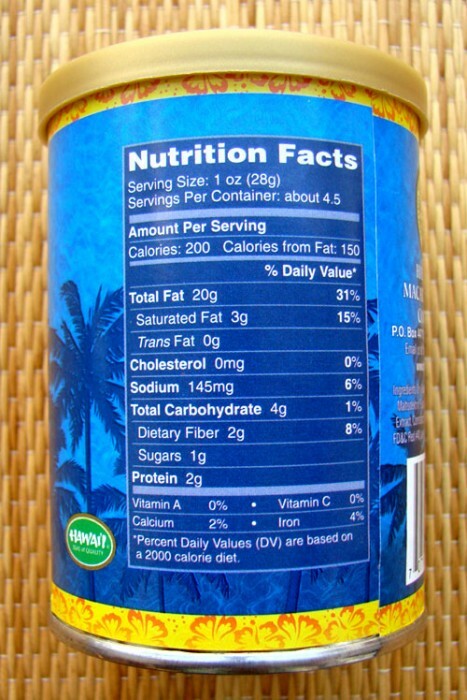 And the nutritional info is pretty typical of salted Macadamia nuts. 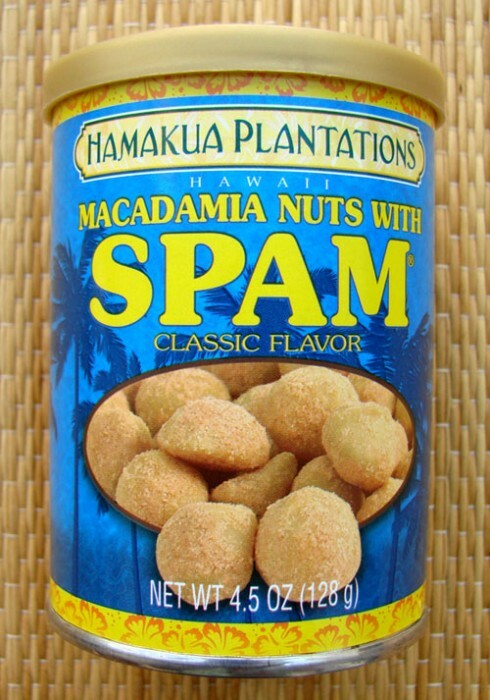 Never had Macadamia Nut Spam, but I have had normal Spam and I didn’t like it. 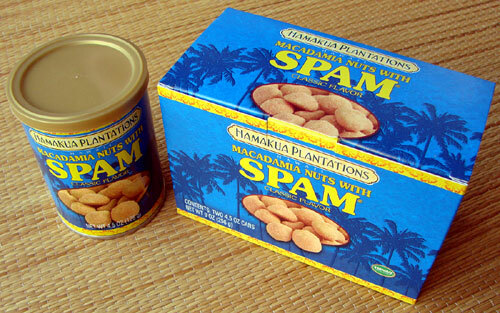 Hated Spam until I moved to Hawaii…now I love it. Buy Spicy Spam, cut into medium-thick slices and throw it on the BBQ…it’s spicy, fake meat deliciousness. I’ve only had Spam Sushi and it wasn’t very good. Otherwise I love Hawaii food. Lau Lau, Kalua Pork and Poke are the best foods on the planet. Especially Lau Lau. It is a joke Tiki … please don’t ban. Usually being funny is a prerequisite for something to be qualified as a “joke”. I fail to see where the intended “punchline” or humor there is. 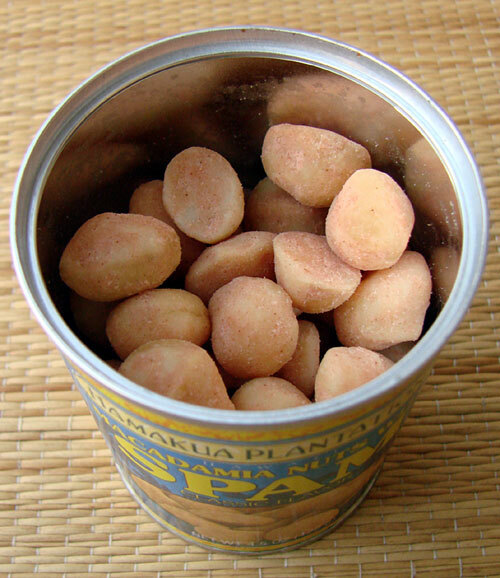 I am from Hawaii and I like Spam but Spam flavored Nuts is just gross.